As previously defined, a Swiss Army Knife is that well-known brand of pocket knife that we all have come to know and love. Whether your active lifestyle brings you hiking on one of the 30 Great American Hikes or fishing at one of our favorite fishing spots, there is a Swiss Army tool that will work for you. We know what the basic Swiss Army Knife looks like, with its classic, sleek red body, and 7 essential tools, but the creators of this popular pocket-sized helper have gone above and beyond the average tool to some extreme reproductions. Victorinox, the proud creator and distributor of Swiss Army knives, continues to create original knives and multi-tools that will fit for any lifestyle. In this list, we’ve compiled some of the most extreme, expensive and overall craziest Swiss Army knives that are sold today. This list includes everything from the more tech savvy flash drive multi-tools to the gold (yes, fine gold) classic knives. The items in this list tend to be on the more expensive side, but the amount of tools included is worth the price. Swiss Army knives are so popular today that there is even a museum. 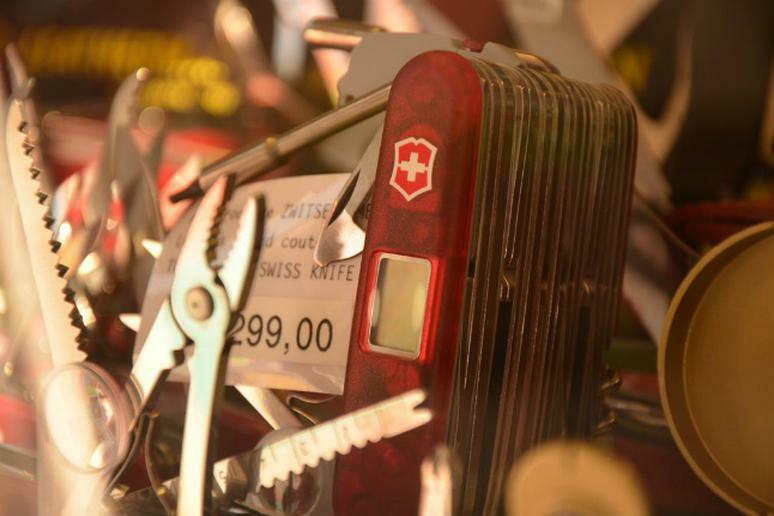 The Swiss Knife Valley in Brunnen, Switzerland offers guided tours through the Victorinox Museum that will show you the history of the little red pocket knife. The exhibit includes a collection of rare knives and thematic exhibitions with true stories of how the simple little knife has saved the day. 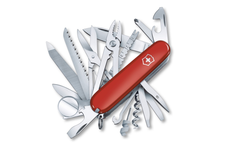 You can even assemble your own personalized knife in the Victorinox Brand Store. Swiss Army knives continue to dominate the multi tool industry for their sleek, compact designs that you can take on-the-go. They are great for camping cooking, whittling, fishing and everyday fixing. While these tools listed are crazy extreme, and maybe a bit unpractical, they are an innovative solution to carrying a handy every use tool everywhere you go. Click here for the 10 craziest Swiss Army knives you can buy today.